Trenitalia will receive 27 new Coradia Meridian trains by the summer of 2019. 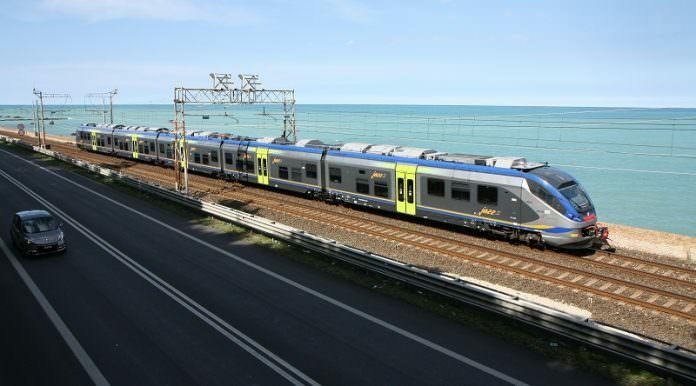 The ‘Jazz’ electrical multiple units (EMU) will run on the Italian national operator’s regional services, with delivery set to begin in summer of 2018. The order with Alstom is worth €170 million and has been exercised following an option of a contract signed in 2012. The low-floor Jazz trains can run at a maximum speed of 160km/h, are 95 per cent recyclable and are designed and manufactured by Alstom in Italy. Alstom Italy’s managing director Michele Viale said: “Jazz has proven to be a reliable train appreciated by passengers and already in service in 11 Italian regions. “We are pleased that Trenitalia renewed its confidence in Alstom, recognising the commitment of the company to deliver on-time and on quality. The new trains will bring the number of Jass trains in Trenitalia’s fleet to 118 units. Was thinking if these Alstom Coradia Meridian “Jazz” EMU trains could be coming to the UK. Probably not as they are more confined to other European countries that needs extra trains to get passengers off roads and onto trains.